Experience exotic cacao grown deep in the headlands of the mighty Amazon. This is 100% Chocolate made from Pure Cacao. Sugar Free Chocolate with no added sweeteners this is Diabetic Chocolate for those wanting Pure Chocolate Health. Simply pure ground cacao to a smooth texture and then formed into chocolate discs - unsweetened chocolate 100% cocoa solids. This is the flavor of 100 dark chocolate: strong robust and bitter with the subtle nuances of exotic organic cacao. Bulk organic 100% cacao chocolate has unsurpassed flavor and is perfect for all organic baking chocolate recipes. If you are going to take the time to craft a homemade chocolate truffle or baked good you will want your time to pay off with the finest possible result. This pure 100% cacao gives you the real organic cacao experience in a raw flavor. You should experience the taste of wild cacao. The real taste of pure raw cacao is very apparent when eating 100% cocoa solids because there is nothing else added to the chocolate (no sugar, no vanilla, no milk, no extra cocoa butter). This is the real test of quality. Notice the floral nuances with dark earthy flavors and a slight wet cacao taste tempered with a smooth even melt. We know the source of the cacao and the orchards and feel confident in the quality and safety. The farmers tending the cacao trees are paid a living wage and they really enjoy what they do. The farmer co-ops carefully regulate all aspects of the cacao watching that everyone involved is following good hygiene and care of the organic cacao, including sustainability. The result is an organic chocolate you'll feel good about. Unsweetened Chocolate Means It tastes Bitter, it also means this is a Sugar Free Chocolate with no added sweeteners or artificial ingredients. Please read our reviews so you can learn more about our quality chocolate. We use Ethical Trade and Fair Trade Cacao. UTZ and Rainforest Alliance are additional audits we use and they all act as a collaboration of independent audit organizations that review cacao and fair chocolate practices. Our chocolate is certified Fair Trade. The 100% chocolate is minimally processed at the lowest possible temperatures allowed. You'll discover the unsweetened chocolate still has some small cocoa bean pieces in it. This is because we try to keep the pure chocolate as close to the cocoa bean as possible while still fitting the definition of chocolate and not something like raw cocoa beans. 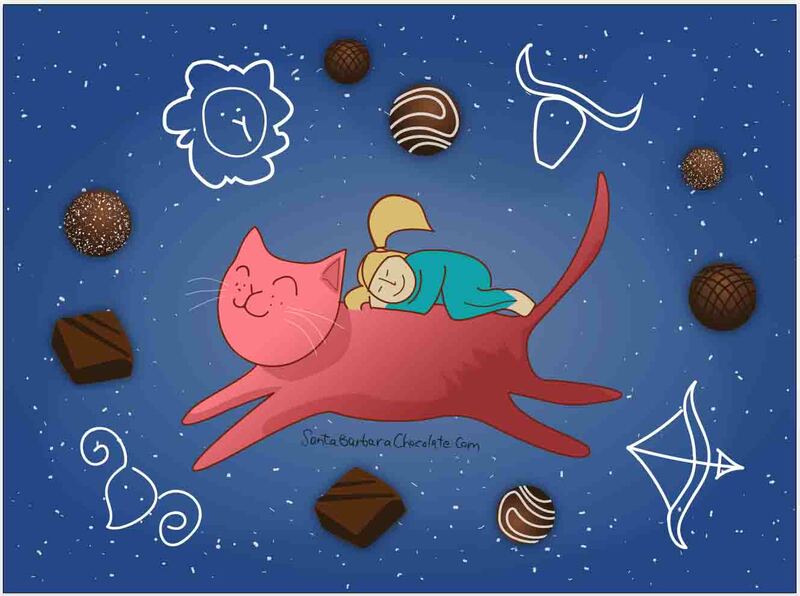 This is the secret behind our pure chocolate 100% and this is why so many people love it. The differences in the cacao origin will result in flavor and viscosity differences. We have combined our two finest selling cacao chocolate types into one superfood variety. We have combined the finest selling chocolates below to make our highest rated 100% pure. 100 Pure Dark Chocolate: Organic cacao ground into a pure chocolate. The chocolate is earthy, slight fruit with pronounce bitterness giving way to floral and lingering cocoa notes. The cacao is slightly lower fat so when melted it is a medium viscosity. The cacao is classified as Cuchillo Criollo. 100 Dark Chocolate Rainforest dark: North Hispaniola from a micro climate area. The chocolate is slightly more mild with hints of fudge and red berry notes giving way to pronounce cocoa and finishing with a clean melt. The cacao is a type of Trinitario with a higher fat content by 2% approximately so it is more fluid when melted. 100 Dark Chocolate Fondue: 8 oz. 100% cacao chocolate + 4 oz. milk or dairy free rice milk + pinch of cinnamon.Mix and heat at medium temperature, stirring constantly. Dip your favorite fruit or nuts. 100 Dark Chocolate Truffle Ganache Vegan Friendly: 8 oz. 100% cacao chocolate + 4 oz. coconut cream + 1 tbsp. agave syrup. Mix and heat at medium temperature, stirring constantly, Once mixed, refrigerate to set. Once set use a spoon to scoop and ball ganache into truffles. Roll them in chopped nuts or our Red Cocoa Powder. You can also use our Cacao Chocolate as a substitute for any baking chocolate baking recipe. Use a 1:1 ratio by weight for the recipe. For easy calorie counting and diet maintenance we have made each piece the size and weight to approximately equal 1 calorie. How many pieces are in 1 ounce of the 100% dark chocolate? These small flat chips vary in size so the numbers below are approximate. The idea behind a chocolate chip is to offer additional versatility for baking as well easy calorie counting. Now making a hot chocolate drink or snacking (from a small bag or in trail mix) this is an easy way to enjoy the 100% chocolate without being overpowered by flavor of darkness (the whole family can now eat it for health benefits). Please try chips in a blender for a smoothie, baking muffins or eating a small handful. One chip is about 1 calorie. This new way, one can manage calorie portioning very easily. In our research we have found that 1 tablespoon x 3 times a day results in the lowest calorie intake but with the highest return in antioxidant value. The bitterness is low because of the white cacao nature. If you want chocolate health - this is the one. Santa Barbara Chocolatiers use the 100 Dark Chocolate as a base in making all of our couverture chocolates. By adding in sugar you create chocolate percentage types. For example, if you add 30% sugar to 100 dark chocolate you then have made a 70 couverture chocolate. How to replace cocoa powder with Unsweetened chocolate: 3 TBSP cocoa powder is equal to a substitution of 1 ounce of pure cacao chocolate. The Santa Barbara Chocolate Brand of unsweetened chocolate is also a sugar free chocolate. It is not a low calorie food because it is chocolate and calories are not reduced, but it is a sugar free chocolate which means it is a diabetic chocolate. The advantages from a diabetic chocolate perspective is that our pure ground cacao chocolate has no artificial sweeteners that can cause stomach upset. We don't use solvents to extract any fake sweetener to add in, that's why we call this a pure chocolate. It is also an organic chocolate which is seen as a high antioxidant chocolate by health experts. (ii) The food contains no ingredient that is a sugar or that is generally understood by consumers to contain sugars unless the listing of the ingredient in the ingredient statement is followed by an asterisk that refers to the statement below the list of ingredients, which states "adds a trivial amount of sugar," "adds a negligible amount of sugar," or "adds a dietarily insignificant amount of sugar;"
Our sugar free chocolate is diabetic safe but it not a low calorie food. When we did a small research study with diabetics we found the fiber content and fat content along with the fact there is no added sugar made this unsweetened chocolate very easy to eat with no concern regarding insulin spikes. This is also the reason why paleo diet health followers love our 100% chocolate. This is Chocolate Health. 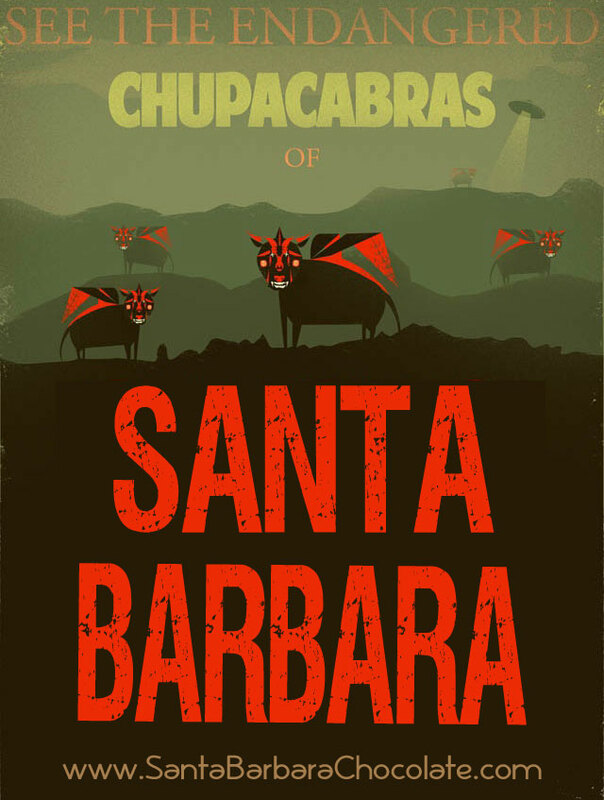 Average Antioxidant Value: 213 mg Antioxidants per 1/4 ounce (31 chips) of Santa Barbara brand of Unsweetened Chocolate. Most research suggests 200 mg per day of antioxidants is soothing for heart health. 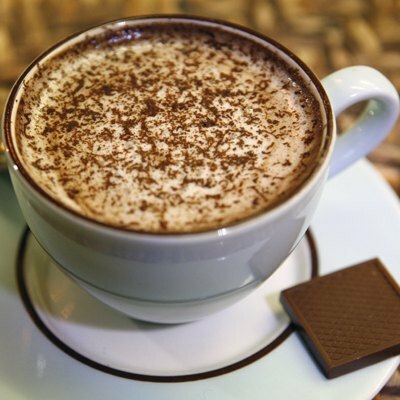 Unsweetened Hot Chocolate - Make your own perfect antioxidant drink from this chocolate! California style hot cocoa: Whisk 4 ounces Pure Chocolate with 12 ounces of hot almond milk and 1 Tablespoon honey - make it smooth and thick. This gourmet drinking chocolate is unsweetened and made from extra dark cacao. Unsweetened Hot Chocolate will have a red hue when frothed due to the cocoa bean type. The pure experience of Drinking Chocolate made from your own Pure Cacao Chocolate. Serve Hot or Cold - Easy to make and whisk it up. No added soy or artificial flavors or sweeteners. Unsweetened 100% Chocolate to get your antioxidant value. Making your own healthy hot chocolate to enjoy before bed seems to turn a sleepless night into a restful and fun dream filled night. Dark cocoa powders do not have the depth of flavor or versatility found in a pure chocolate like this one. Organic dark cocoa powder can't be eaten right from the bag and enjoyed like this chocolate. Both are unsweetened and have antioxidants but this option is smarter and easier to eat. Keep in mind our chocolate is made from fresh, ripe cacao. Typically dark cocoa powders are ground from the less desirable cacao beans, the ones not as ripe or handled as well. Chocolate like this requires the finest cacao available. Typically the lighter the color of the cocoa chocolate the flavor will be more acidic, fruity and with low fudge notes. Medium brown cocoa chocolates will tend to have some fruit note but the fudge flavor becomes more pronounced. With red cocoas the fudge flavor becomes less pronounced and the fruit flavor tends to give way to subtle floral hints. So very dark Black cocoa chocolate offers the most robust experience characteristically earthy with heavy fudge like flavor. The color and smell are the most intense aspects and as a result this unsweetened chocolate works wonderfully in a mud pie recipe or in chocolate hazelnut gelato. Blends of exotic origin organically grown cocoa beans are why our chocolate is a gourmet baking chocolate. Exclusive blends, ethically traded adhering to the highest standards of quality. Our cocoas are not loaded up with fillers or ash. A handful of our rainforest exclusive cocoa blends will offer a bigger flavor impact and satisfying taste. Perfect for all baking recipes, smoothies, hot chocolate drinks, frostings, cakes and brownies our cocoa chocolate is smooth, unsweetened pure cocoa goodness. California style Cocoa Made in the USA. Choosing cocoa chocolate made in the USA is very important. 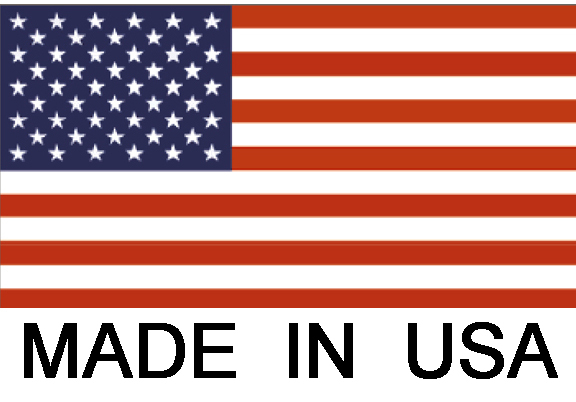 USA made cocoa must pass stricter requirements than those made in some other countries. Our authentic raw ingredients of a red cocoa blend is a premium quality you will recognize the instant you smell the rich and pleasing aroma. 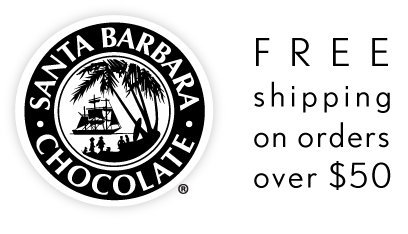 Santa Barbara Chocolate Co. has been built on quality chocolate and cocoa. It would be a pleasure for us to be associated with your company as your wholesale chocolate supplier. *Fair Trade Ingredient: Organic unsweetened chocolate. Manufactured in a factory that handles tree nuts, soy, milk and dairy products and may contain traces. Best used within 36 months of production date. 100% Cacao Organic Unsweetened Chocolate Amazonas is the taste of pure raw organic cacao. Grown in the deep jungle headlands of the Rainforest. Exotic floral flavors with deep dark cocoa notes, taste the rarest and exotic cacao few have tasted. This is the best unsweetened chocolate brand.